It is a galaxy in war. 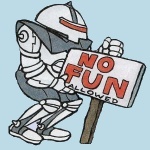 At every side the vile Xenos throw themselves relentlessly against the Bulwark of Humanity, chipping away at its defenses all the while the corruptive influence of Chaos claws at it from within, targetting the weak of spirit to serve as their unconditional tools towards the end of the Imperium of Man. Traitors, shunning the blessing light of the Emperor strike free from their imagined oppressor, claiming independance from the gargantuan Empire only to be wiped clean from its slate, the vengeful sledgehammer of the Imperial Guard striking them down without mercy or chance of redemption. For the aliens, the witch and the heretic, there can be only one end, and that is death. In another time there could perhaps be room for debate, for alternatives, for hope. But in the Grim Darkness of the Far Future tolerance begets betrayal, doubt begets damnation and reluctance begets destruction. The Imperium of Man has lasted for ten thousand years, and will continue to do so with its furnaced fueled by the bodies of the fallen and its warmachines oiled by the blood of sacrifice. On thousands upon thousands of worlds billions upon billions of human lives are spent everyday in the service of this Titanic organization, for the alternative is death; by the hands of the enemy or those of whom you betrayed. In its giant body, the Imperium hosts an endless amount of organizations, factions and orders, from the Techpriests of Mars to the Adeptus Arbites, the police forces of every planet. The Imperial Guard and the Imperial Navy cooperate grudgingly, their rivalry founded in the Heresy that nearly destroyed the entire human race many years ago. On gigantic hive-worlds, housing several billions in every hive-cluster, exists vastly differating stratas of life, from the eat-or-be-eaten of the lower Hives to the grandious luxury of the upper. Clerks, assassins, thugs, they all make these hives their homes. Preachers of the Ecclesiarchy, the pan-galactic state-religion and the church of the God-Emperor, speak His words to the masses, encouraging loyalty, subjugation and sacrifice. On some planets, there is less strife, particularily Agri-worlds, where food for entire planets are harvested every day, but on others War has been raging for centuries, and will continue to do so. Service to the Emperor is always done, through deed and deed alone. There is no room for lip-service in the Imperium. In order to police itself, the Imperium established the Inquisition, a force of men and women strong of will and arms, able, and willing to do what is needed to ensure that the Empire will not fall from within or without. They root out corruption wherever it sets it foot, and mythical are those who, clad in power armor of ancient design, keep an ever watchful eye. The Inquisition is a mystery to all but a few of the citizens of the Imperium, as they move undetected through the use of disposable pawns, only rarely going into the action themselves. They have complete and utter authority over nigh-all of the Imperium, although some organizations are beyond even their control. Last, but not least, are the Space Marines, giants clad in the finest armour the Imperium can muster, wielding the most dangeruos weapons of the Galaxy. The Space Marines, exempt from the Imperial Body, are each an army in his own, dedicating his every waking moment to fighting the threats facing their charges, the Imperium. Where the Guard is the sledgehammer, the Space Marines are the needles, able to launch an attack at any location at any time with precise and deadly accuracy, crippling an army over a night. Truly the Space Marines are the Emperor's Finest, and few, if any, can match their zeal and warrior's spirit. Each battle-chapter is a thousand men strong, but a single chapter can often turn the tide of a hopeless battle, and doomed is the enemy who brings upon himself the wrath of the Adeptus Astartes. But will this be enough? Bickering and internal strife always threatens the Imperium, and like the Behemoth of old, it is slow and sluggish, reacting years, if not centuries, after a distress call, the distance between stars unsurmountable but for travel through the Empyrean, the Warp, an unstable dimension of untold horrors. A message sent through the Warp may arrive hundreds of years after it was delivered, or before it was even sent. Warp-travel is very risky, as a single error in the Geller-field, which protects the ship from the horrors outside it, may result in the death of the entire crew. And even with a functioning device, a ship may be caught in a Warp-storm and arrive inside a star, or thousands of years later. It is in this Galaxy you were born and raised, and it is here you will die. These are facts, but as for how, and where, you die, only your own deeds, or the fickleness of fate, can decide. Well, snazzy introduction aside, I've been so inspired by the games I've been playing that I've decided to launch my own Dark Heresy game! As for now, I am looking for applicants (I will take in at most 6 players, I believe, but will settle with three if that's all we get), and we will work with that afterwards. This will be a board game. 1. Humans are not the sturdiest of races in the galaxy. Although we excell at killing (ourselves and others), we are not all Space Marines. Therefore, this game will be focused more on roleplaying, reflected on in the plot. Of course, fighting does occur. As you will see, most classes available have one or more ways to defend themselves (or grievously injure others), but the Inquisition is not an army, it is a surgical knife. 2. Frankly speaking, humanity is in shambles. Nothing's working as it should be, technology is no longer casually incorporated into your life, but an object of worship in itself. A ritual of initiation can last for hours before the Enginseer presses the sacred "ON" rune, all the while applying tinctures, singing prayers, etc. Thus, although you will have a rudimentary understanding of how stuff works, you probably won't be able to, or even dare, to repair a wrecked vehicle, or even a more complicated gun. There's a whole Religion focused entirely on technology and it is their given duty to do that kind of stuff, heretic. Anything remotely advanced (firearms or computers, for example) have Machine-spirits, and if these spirits are not placated, the device will become fickle and unreliable. 3. In a world where death can come swift at any given moment, people learn to adapt. Socially, man has degraded wonderfully. Set work hours? Insurance? Lunch breaks? If you're lucky, maybe one of those. Then again, if you happen to live on a Paradise Planet, far from any fighting and rich in resources and tourism, you could theoretically have a good life... until ork spores are accidentally imported as a delicacy. To add even more to this, you have all been chosen by an Inquisitor to serve as his/her eyes, ears and prodding-sticks. Therefore, you have proven to be good at what you do. Very good. Whether that is knowing languages or in what orifice you put the muzzle of your lasgun for best effect depends of course on your choices. 5. I will be somewhat restrictive on two classes that I feel should, at best, only be played by one player at a time. They are, Techpirests and Psykers. The Techpriests are the Worshipper of the Omnissiah, the Emperor in his Technological aspect. They are the people you go to when something breaks, and if you're really lucky they might actually fix it. They are extremely secretive about their knowledge and rarely allows outsiders to help them to work on things. Their order is actually Heretical, but through some clever politicking and with a thesaurus, they've been incorporated into the Imperium, simply because their knowledge is needed. The Psykers are a rare group of humans who have begun to display psychic powers. Although this is mega-awesome, it also means that they are incredibly susceptible to the daemons of the Warp. These daemons hunger for mortal souls to consume and physical bodies to possess, and psykers are delicacies in both kinds. Most of the weaker psykers are promptly collected and shipped off (many planets have a tithe of psykers they need to supply the Empire with) to join the Emperor on his Golden Throne. Those stronger are often trained rigorously to harness their skills and suffer implants and modifications to make them safer. Still, they all carry a knife around for the moment they all know will come. Both of these classes are somewhat rare in the Imperium, thus my restriction. If you do wish to play one, send me a PM or catch me on AIM and we'll discuss it. 6. It would be very advisable that you're either familiar with the 40k universe, or find it fascinating enough to start studying it. Naturally, I will be dropping gobs of fun facts when you're playing. I don't mind if you're new to it, that just means you'll find the whole thing much more new and fascinating. Also, keep in mind that if you happen to know a lot of the Imperium, share it and have fun doing so. Many don't know what recaf or amasec is, but those are great things to spice up your posts with. Heck, even grox-herding could be fun! Anyway, that's about that for now. So, for the moment I'd like for those of you interested in joining to take a gander at the other Dark Heresy's OOC thread, in particular the first three or four posts by Jak, and try to decide what you'd like to play. If you can't decide, there are ways to randomize these selections, which I can cover with you once we reach that hurdle. Thought of the day: Burn the Heretic, kill the mutant, purge the unclean! Last edited by Christian on Fri Aug 07, 2009 3:29 pm, edited 4 times in total. Just chiming in to say that for those of you unfamiliar with the setting, 40K manages to have a very well developed canon, while still having a universe vast enough to have rocketeer sky pirates facing off against WW2 styled tanks and honorsworn death ninja, without it being overly silly. For those of you unfamiliar with the Dark Heresy system, I'll mention that I'm a complete twit when it comes to learning new games, and I found myself enamoured with a lot of the system's mechanics. It also gives some insight into some crevices of the Imperium not fully explored by the tabletop game, as far as I know. For those of you unfamiliar with Christian, he's an all around okay fella. And Swedish. 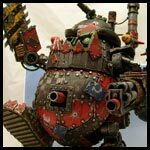 There's literally no reason for someone who has or is looking to develop an interest in WH40k to do themselves the disservice of passing this up. I look forward to reading the game once it begins! You know I'm all over this like an incautious adept in a forgotten librarium. I'll have to contemplate what character to play, though. EDIT: But first, is this chat or board? For what it's worth, board would be better for me. Ah, this is going to be a board game (guess I should've mentioned that), as chat is for me something alien and hostile, generally. The system is fairly simple and consistent, with percentage-die thrown every time you're doing something tasking, and you get varying bonuses or penalties depending on what skills/traits you have, the distance to the enemy, equipment on your weapon, etc. That is, of course, the combat system, and although the game shouldn't revolve around it, it's very solid. As if i'm not doing enough. Count me in as either a Psyker, Scum or Tech-priest. 'kay, I'm in. :x Probably going for a void born cleric! I'll conjure a character sheet when able. Awesome-sauce! Welcome to the game people! We've got three, potentially four players (getting news about that within the week), and if we do end up four I'll set a date for when things start. At the moment, I'd like to give you all some info on what kind of relationship you will have with your Inquisitor and each other. I've considered two options regarding Inquisitor, and I'd like people's opinions on that. The first one is that I design and make a new one for you, which will be dead secret for all you little snuggies who've been reading the rulebook, or you get to pick one out, taking a page out of Jak's book. How about it, fellas? Know your doom or oblivion 'til the end? As is praxis, this will be your first mission together, which is why things will start off slowly with some character interaction and a chance for everyone to get a feel for their characters. I'm really interested in working for the Ordos Xenos or Ordo Hereticus. If Ordos Xenos, i found a homebrew Astartes class, I'd love to be a Deathwatch combat-monkey. Oh, and this just in: 2 points of interest. 1. I'd like for you to roll up stats with me online on AIM. Call me distrustful, but a moment of laxity spawns a lifetime of heresy. 2. You get 600, not 400, xp to start with. I took a moment of laxity this morning and i haven't gotten off the can since. Alrighty folks! Another FUN update from your GM. Actually, don't sweat it, I'm planning on starting the game mid-next week with a long and boring read (that you'll most likely skip through) and then we're off! Until then, catch me on AIM or here if there's anything you need. The Planet Khorz III, situated far Rimwards of Scintilla in the Malfian Sector, close to the borders of the Halo Stars, has a long and bloody history that stretches back nearly to the very foundation of the Calixian Sector. An Agri-world of some remarkable fertility, Khorz III quickly became an indispensable asset in the further colonization of nearby star-systems. Although a variety of local vegetations and wildlife proved edible to humans, Khorz III gradually moved on to less resilient and more fruitful crops as the weather-patterns of the planet were consistent and mild, so local flora and fauna made way for better harvests and strolling herds of grox. For many years, Khorz III prospered and although its role lessened as more and more planets were claimed and terraformed, its vast bounties ensured that there would be a continuous surplus that more than paid the Tithes requested by them. The occasional Khorzian regiment would be mustered, and a respectable local Planetary Defense Force was kept, but to most the dangers of the Galaxy were far away and without concern. This changed with the Warpstorm near Khorz VI that occurred in 798 M41., a small, moon-like body that held the furthest-away orbit of the system’s sun. The planet itself was engulfed in the Warp, vanishing utterly, but in its place was a Space Hulk of immense proportions. Khorzian traders passing near the Hulk sent probes and scouting parties to examine the vast lump of rocks and crashed spaceships, but it remained Deathly Quiet. However, after only a few days of drifting through space, enormous engines burst into life and the rock set course straight for Khorz III. Orks had come to lay waste to the planet. Help came in the form of the 39th Army, led by General Augustine Drane and mustered from three entire regiments. Thanks to the sacrifices of the Khorzian PDF and the 39th, the Orks were stopped dead in their tracks and after several years of bloody fighting the last of the orkish waaagh! was stomped out. Warboss Nachgal, the leader of the orks who had arrived on the Space Hulk, was presumed dead and the greenskins broke by the might of the Imperial Guard, disorganized and demoralized. But the prize for victory had been bittersweet. Where once beautiful fields and green forests had stood was now only the cratered, muddy landscape of war, and rivers and oceans once clear and vast were now dried or poisoned beyond any capability to sustain life. Nearly nothing remained of the great harvests that had sustained the planet’s economy and the people were forced to rebuild from scratch, masses of their workforce put aside to cleanse away the remains of the orkish invaders and ensure that their spores would be destroyed. Governor Call despaired, but set to work, pleading for the 39th to remain behind and help rebuild the splendor of Khorz IV. However, it was around this time that the Pale Throng, a cabal of mutants formed in the mining world of Tranch, initiated their bloody revolt against the ruling class. The Lord of the Calixis Sector, Marius Hax, quickly realized the extent of this treachery and ordered a counter-invasion of Tranch, led by none other than General Drane. Forced to obey his lord, the general left the scorched remains of Khorz III behind and took his army to Tranch, his name cursed by the Khorzian people whom he had just saved from their doom. Determined to persevere the people of Khorz III began the long and hard journey back to their former lives. It did not help that the Imperium consistently refused most requests for aid, as census showed that there was enough to harvest for the people of the planet to be fed, and the tithes (kindly lowered to accommodate the losses of the ork-invasion) to be paid (although now more often in the forms of regiments), but the people suffered none the less. For years, Khorz III rebuilt itself in stoic silence and it seemed as if the planet was regaining some of its former glory. Then, unforeseen by any of the scholars of the Imperium, a declaration of independence was drafted and sent to the Lord Sector of Calixis. Khorz III had officially seceded from the Holy Imperium of Man. Attempts to communicate with the Khorzian Principiality, as they now called themselves, proved fruitless as a repeated, pre-recorded message by former Governor Call repeatedly stated that the Khorzian Principiality had no interest in dealings with the Imperium, but wished to remain neutral and thus merely asked to be left for their own device. The Khorzian representative on Scintilla, too, proved unreachable as she had left a scant few weeks before the declaration, clearly anticipating the secession. Angered by this insolence, and likewise worried about the sudden betrayal that had shown little signs of growing, Hax ordered once more the 39th Army regrouped, replenished and sent to Khorz III. The people of the planet would have to learn that it is only by the glory of Him eternal that Mankind remains a united force against the darkness of the Universe. Founded over a thousand years ago, the 39th Army has seen more military action than any other army in the entire Calixian sector. Originally founded during the War of Brass (738-741 M40), the 39th quickly earned a reputation of fearless efficiency when it achieved several victories at key strategic locations, severely weakening the rebellious armies of the Emperor of Brass and allowing other armygroups the chance to recuperate and refocus themselves. Much of 39th success came from its three founding regiments (The 402nd Scintillan Shock Troopers, The 14th Synfordian Armored and the 22nd Heavy Infantry of Xeiros Prime) and the way the General of the army, Metelles Drane wielded his multi-purpose forces. Drane, although originally posted in the outskirts of the ever-expanding battle, exploited every opportunity he could get to further move his army into the heat of battle, often sending out scouting parties that would need “reinforcement” upon contact with the enemy. Although reckless behavior, Drane could back it up with the skills to lead his army into victory after victory, earning himself the nickname ‘the Heelbiter’, for his tendency to assault enemy forces that were in the process of redeployment, or retreating from the other armies. Within months, Drane and the 39th found itself a part of the major conflict and proved their mettle time and again against the heretics and, once the war was over, found themselves lauded as heroes. Being a man of humble background, and of little social interest, Drane remained general of the 39th, declining (consciously or not) every opportunity for him to rise in rank. Even so, the 39th was recognized for its performance and it remained in action for many years after. However, as times of war and strife waxed and waned, it became costly to keep garrisoned troopers outside of their home planets, and it was edicted by the Lord Solar at the time around the shift of the millennium into the 41st that the 39th and any other army not active in a campaign was to be dismantled. The regiments were divided to their home planets were they would serve as the PDF until such a time came that their service was needed again, but the tradition and pride of having served in such a great army remained, and still the flags of the 39th hang high in the garrisons of the 402nd and 14th. Of the fate of the 22nd, no one speaks, for the events of Xeiros Prime are known to few, and those wish for it to remain so. The 39th was once more raised during the Meritech War and the Second Siege of Vaxanide, but in the interim remained out of service. As a measure of tradition, however, the former regiments of the 402nd and 14th remained in service, and to replace the 22nd the Tranchian 9th Shock Troopers and the 4th Rybothian Artillery were alternatingky inducted into the folds of the 39th. When the 39th next saw action, it was on Khorz III when they were called in to aid the locals in battling the Nachgal Waaagh! of orks that had arrived on a warp-travelling Space Hulk. Unfortunately, the Brontian 9th were at the time occupied by dealing with local unrest, and general Augustine Drane, descendant of the army’s first general, had to make do without them. The fighting, which had been predicted to last a relatively short period (Khorz III consisted mainly of planes and forestry, making it easy for any army to advance unhindered by environment and providing little guerilla-supporting for splinter-forces), but predictions were shot to the Warp as Nachgal proved a crafty and deceptively cunning warboss, employing fast-moving vehicle transports to strike at poorly protected funnel-points and using hit-and-run strategy to measure the strength of his opponent or to provide a diversion for the main force. When finally the ork-threat was vanquished, the 39th army was called away once more in order to aid the now severely weakened Tranchian 9th as the Pale Throng and its leaders revealed themselves fully, throwing Tranch into a bloody and drawn out civil war. Drane was forced to abandon Khorz III to deal with the matter and regretfully left behind a battered and war-torn world. Once the Tranchian War had regressed into digging out pockets of resistance, the main force decapitated by the death of its leaders, the 39th could once more turn their eyes to Khorz III. Surprised, they found that the world was recuperating fairly swiftly, its people hard at work rebuilding what they had lost. Deciding that any attempt to help now would only be looked upon as pointless and condescending, Drane officially filed the tasks of the 39th finished and informed the Lord Sector that the 39th was ready to be dismantled once more. Even before the ink of the letter had dried, however, High Lord Hax sent a message of his own to general Drane. The people of Khorz III had declared open revolt against the Adeptus Terra and the Empire of Man, and it was the 39th duty to bring them back into the folds or crush them underneath the compromise-less heel of the Imperial Guard. Last edited by Christian on Sun Aug 09, 2009 4:04 pm, edited 3 times in total. There is little that can be said about Maximilov Kast that has not already been mentioned in the numerous holo-logs that is so popular with many of the hive-born children of the Calixis sector. Like most of his kind, Kast is a self-relying man who acts in unison with the Empire of Man only when it serves his own purpose or whim. At times of great strife, he can be seen plying his trade without batting an eyelid at the death and suffering around him, while a small and unimportant skirmish may draw his full attention and support. At times he disappears into the Halo stars for years, only to return laden in riches and claims, but he is just as likely to serve as a ‘mere’ trader of munitions and supplies if he wills it. Some say that Maximilov Kast is a legend, that the man who presents himself as such is merely one in a long line of Kasts, taking up the mantle once the old one passes away. There is some merit in this, for if some records are to be trusted, Kast and his refitted Lunar Cruiser “By His Providence” has been active in the sector for almost as long as it has been in existence. Others, more prone to wilder thoughts, argue reasons like life-prolonging tech-heresy or even a past as a Space Marine, the eternal warriors of the Emperor’s will. Some even whisper of dark pacts with forces beyond man’s comprehension, but few are those who would willingly make such a claim. Whatever his nature, Kast is a legend for a good reason, for his name is spoken of in every corner of the Calixis sector, whether it is as a skilled trader or as a messenger from the gods beyond the stars. The ‘By His Providence’ is truly an ancient ship, and it is said that enormous Aquila etched on the bow of the ship serve as an indicator to the state of the Imperium. If it reflects the light of suns as it steers to port, then all is well, but if it is instead in shadows then evil will befall Humanity. Naturally, this is a very fickle sign, and many times large arguments have broken out regarding the state of the Imperium, whilst the wise contemplate that there is never, and has never been, a time when the Imperium of His most Divine isn’t under threat from one source to another. Still, ill omens or good, the Lunar Class Cruiser is a majestic sight to behold. It is said to herald from the days of old when the Emperor still walked amongst men, and despite its age it still shines with a pristine gold and chestnut, pock-marked with thousands of meteors, yet still a regal sight to behold. If its master is laden with mystery, then ‘By His Providence’ is even more so. Because of its age, many claim that it was once a part of the great Crusade, serving under one of the Primarchs of the Space Marines in the heydays. Some even go further and claim that it was this ship that brought words of the great Heresy to the Solar sector and warned the Emperor of Horus’s treachery. It is said that deep in the bowels of the ship great wonders can be beheld, vaults of amassed treasures, plethoras of forbidden Xenos artifacts and even great laboratories where Kast toils away the day working to perfect his Elixir of Eternal Life. Great colonies of humans make the ship its home, tracing their lineage deep into the service of the ship, and it is said that amongst the most trusted of the crew-members are those who have been aboard the ship since its very construction, forever aiding its master in his endeavours. Aaaaand the game is on!